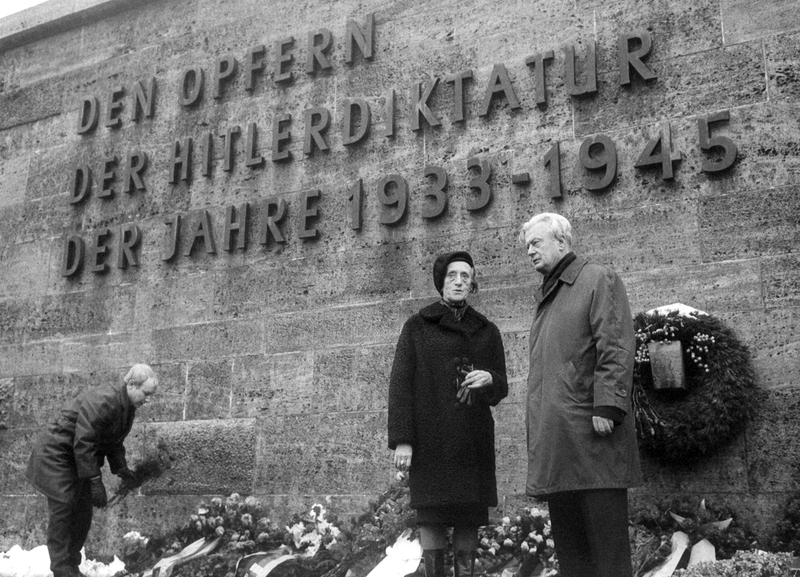 Vice president of the "Friedensrat" (translates as "Peace council") of the GDR, Greta Kuckhoff, during a commemorative ceremony on the 22nd of December in 1967 in Berlin-Ploetzensee for the execution of the members of the "Red Orchestra" on the 22nd of December in 1942. It is said that Vladimir Putin went into the intelligence service after watching the 1968 Soviet film “Dead Season” about the work of spies during the Cold War. However, had he known beforehand about the grim story of Anatoly Gurevich, one of the leaders of the “Red Orchestra,” the network of pro-Soviet espionage rings in Europe, he may never have become a spy himself. In February 1939, aged 26, a man named Anatoly Gurevich took an oath and under the pseudonym “Kent” became a deep-cover agent in the Red Army’s intelligence services HQ. After training he was sent to Brussels with a Mexican artist’s passport, where he was known as the Uruguayan businessmen Vincenti Sierra. The son of a government inspector, Gurevich came from a St. Petersburg family that spoke Yiddish, Hebrew, Ukrainian and Russian. It is true that Sierra knew practically nothing about his “homeland,” even the name of the President of Uruguay, only what was written in the Great Soviet Encyclopedia. He knew that the capital was Montevideo, which sits on the shore of the Gulf of La Plata and the Atlantic Ocean, and that the country’s main exports were wool, meat, and leather products. These were the “goods” that ‘Kent’ had to bring to Belgium – though he almost slipped up on his first day when registering with the local police. It later turned out that the Hermitage Hotel, where he was supposed to stay in order to meet with Leopold Trepper – a resident of the hotel with the nickname “Otto” – had for the past five years been known as a cheap public house where it was considered indecent for foreign businessmen to even be seen. Furthermore, Gurevich’s partner agent “Chemnitz,” Mikhail Makarov, did not speak Uruguayan Spanish or any other foreign language for that matter. Chemnitz lived like a typical uneducated migrant: After sitting in the apartment where they passed on coded messages, he would then go to the shops and would have to communicate with shopkeepers with hand gestures. Within his first three years in Belgium, Gurevich had married the wealthy heiress to the giant export-import company Simexco. However, in the first few days of the German occupation his wife’s parents had to flee, as Czech migrants with Jewish heritage were not able to remain in Belgium. The inheritance of a business with branches in Paris, Marseilles and other large cities in Europe had fallen to Kent, and with this money he could support the entire Soviet intelligence network. “The Alpine battalions of the Wehrmacht are undergoing training for war with Russia. The higher ranks of the German embassy have not hidden their intent to go to war with the USSR in May-June 1941,” reported Gurevich to Moscow. However this information was seemingly ignored in Moscow, like much else that “Kent” managed to find out about the future attack on the Soviet Union: even information about the transfer of Nazi troops to the Polish-Soviet border, the number of troops and their make-up and armaments. He was ordered not to bother Soviet dictator Josef Stalin with this information. In October 1941 Gurevich was ordered to leave and go to Berlin to revive a lost center of intelligence with German antifascists such as Schulze-Boysen, Stebe, and Kochofa. This organization was later called the “Red Orchestra,” the name given by the Gestapo for the liquidation of Soviet spies operating in occupied European territory. In the German capital Gurevich met with the brilliant German officer Harro Schulze-Boysen, who was a relative of Admiral Von Tirpitz. The information which he received from Schulze-Boysen, an Oberleutnant of the Luftwaffe, was priceless. He discovered the truth about the losses suffered by the Wehrmacht around Moscow and their lack of fuel for tanks, planes and cars. Most importantly he uncovered Hitler’s command in spring 1942 to deliver the key blow to the Caucasus instead of to Stalingrad in order to capture Caucasian oil. The fact that the Red Army managed to meet this attack head-on and was able to defeat the German forces and prevent them from breaking through to Baku and the Volga Delta was due to “Kent’s” work. It all collapsed at the end of 1942 when the group in Brussels was caught during a meeting in “Otto’s” flat. However, Gurevich and his wife managed to flee following this, first to Paris and then on to Marseilles. They were unable to change their documents, and on Nov. 10, 1942 the French police handed him and his wife over to the Gestapo. They began a new life that any illegal agent should be prepared for, but that not every one can sustain. Gurevich was not beaten and tortured like other members of his intelligence organization, and he was even allowed sometimes to sleep in the same room as his wife. But it was made clear that not only his own life but the lives of others, including that of the woman he loved, depended on his cooperation. After some time Gurevich was told that telegrams with differing information were being sent to Moscow. “However you put it, in Moscow you are already a traitor,” the general of the Gestapo told Gurevich. Only many years later in the USSR did anyone find out that he had not betrayed a single person known to them, and he did not tell the Gestapo a single fact about himself that was not already known to the Nazis, not even his real surname. The last year of his fake radio messages he handed over to the center for top-secret information in the Wehrmacht HQ, and after Germany’s capitulation he brought a Nazi general with his mistress and a briefcase full of documents to Moscow. Gurevich back then did not know that this was a grave mistake. Arriving in Moscow in June 1945, he was immediately detained for interrogation in the Lubyanka, where they told him that his wife and his baby son who had been born in their German prison had died during bombing. In 1947 they sentenced him to 20 years in a corrective labor camp “in the name of his Motherland.” In 1955 he was given amnesty, like many other spies who had returned to the USSR. In 1958 he began to seek justice: He wrote letters to various organizations demanding to be rehabilitated. However, he was then again put behind bars and was released only two years later. “I don’t know why this happens. Perhaps it is because the honor of the “office” – which had made a whole host of mistakes during the war – was, for many generals, greater than the honor of the individual. Maybe it is because, unfortunately, I survived, as a witness to these mistakes, as a living reproach,” “Kent” said then. A spy who by some miracle survived the dungeons of the Gestapo, who even managed to recruit a general of the Gestapo and deliver him with top-secret documents to his native country? This was clearly nonsense – but only nonsense for those for whom anyone is disposable, even someone who had done so much for their country.